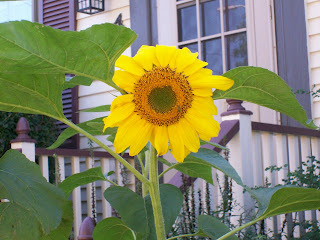 The image of this sunflower calms me. It brings back a memory of quiet and stillness. IMAC and I'm not sure it's a curve anymore, it's more like a cliff. Lot's to learn about this new OS, but I'm sure once I get it down- I'll be a screamin' mimi. Take a stroll over to: "The Way I See It" my other blogspot. I am curious to see what you can do with that new toy too....hurry up and learn everything! I am going to poach this pic - hope you do not mind...de.bandito.